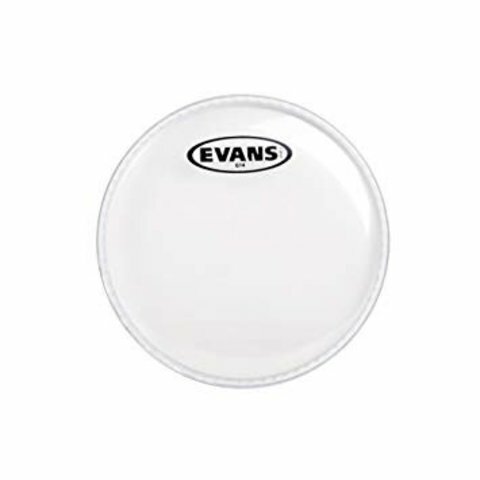 Home Evans G14 Clear Drum Head 15"
Evans G14 Clear Drum Head 15"
$14.95 This may be in stock for quick delivery; please call! Evans G14 batter heads are the loudest, most durable single-ply drum heads on the market. Crafted using premium quality film that is 14mil thick instead of the industry standard 10mil, the G14 delivers unprecedented durability without losing the strong dynamic response of a single-ply drum head. Ideal for use in high-volume performance situations, the G14 can withstand heavy playing while projecting through the mix to provide a full, aggressive sound. 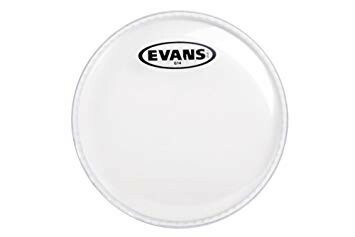 Evans' proprietary white coating provides additional warmth of tone while the clear version provides a full frequency response for maximum projection. Evans Level 360 technology is incorporated to extend the level playing surface of the drumhead, 360 degrees around the drum. The vertically enhanced collar design guarantees even contact with the critical bearing edge of the drum shell, resulting in: ease of tuning, extended pitch range and optimum quality of sound. Evans Level 360 technology resolves the age-old dilemma of traditional synthetic heads consistently not fitting the drum shell without using considerable force.